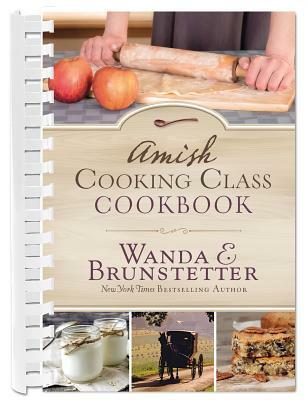 Fans of New York Times bestselling author Wanda E. Brunstetter’s Amish romance novels are invited to go back to cooking basics with characters from the bestselling Amish Cooking Class series. Heidi Troyer, her students, and other contributors share over 200 practical recipes for use in any kitchen, along with tips to keep things running smoothly. From learning how to boil eggs and knead biscuits to building a German Pizza and an Amish Haystack feast, The Amish Cooking Class Cookbook includes something beneficial for every age and skill set. Divided into traditional cookbook categories, there is a recipe everyone will find to love. New York Times bestselling and award-winning author Wanda E. Brunstetter is one of the founders of the Amish fiction genre. She has written close to 90 books translated in four languages. With over 10 million copies sold, Wanda's stories consistently earn spots on the nation's most prestigious bestseller lists and have received numerous awards. To learn more about Wanda, visit her website at www.wandabrunstetter.com.